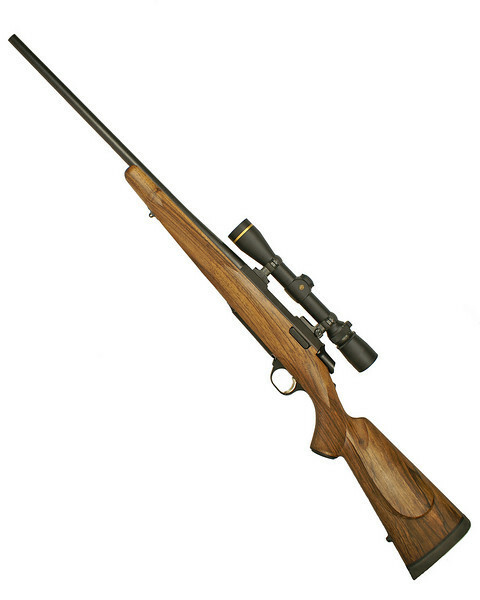 Browning A-bolt stocked in English walnut with an Ebony grip cap and inlet style sling studs. Checkered in a point pattern @ 22 lines per inch and finished off with a hand rubbed oil finish. Top view of the grip showing the sliding tang safety. 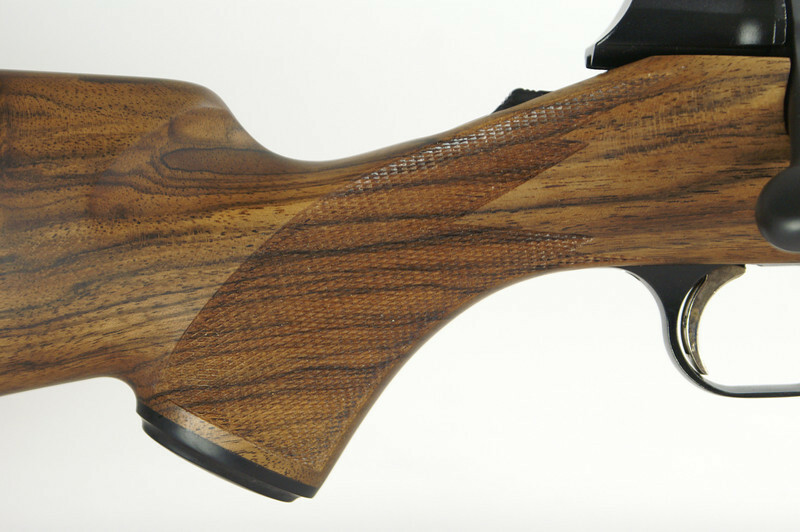 Right side of the grip showing the multi point checkering. Bottom view showing the gold inlay in the custom Ebony grip cap. 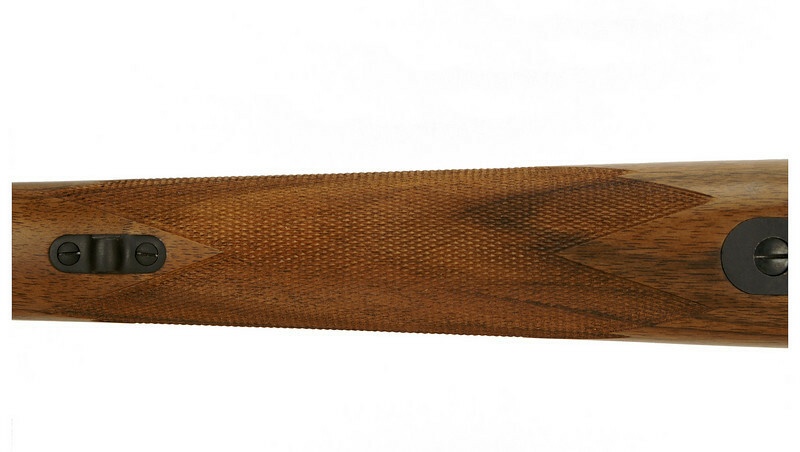 Right side forend showing the inlet style sling studs and the wrap around checkering. 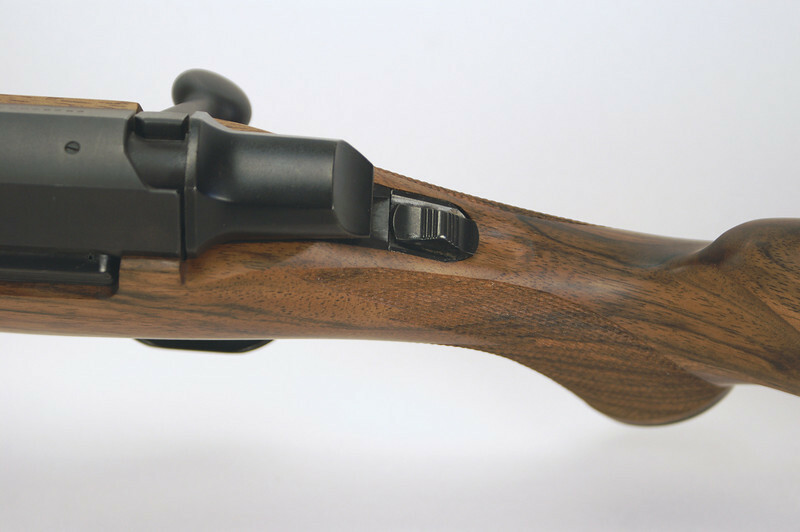 Bottom view of forend showing the inlet sling stud and the wrap around checkering.